These Reebok Men's Navy RB1975 Leelap EH Steel Toe Retro Jogger Oxford Shoes look casual. They're court-ready and seem perfect for a game of basketball or tennis. But they're also built with all the safety features you need to stay secure in the work place. Thes ... (see full details) (see specifications) #RBKRB1975. These Reebok Men's Navy RB1975 Leelap EH Steel Toe Retro Jogger Oxford Shoes look casual. They're court-ready and seem perfect for a game of basketball or tennis. But they're also built with all the safety features you need to stay secure in the work place. These low profile, navy blue shoes are made with soft suede leather. The fuzzy, touchable material stays soft and stretchy with every step. Leather is naturally tough stuff, one of Nature's finest materials. It withstands bad weather, wear and everything else we do to our steel toe work shoes. A layer of brushed nylon fabric surrounds your steps from the inside. Abrasion-resistant nylon resists friction and wear. Because it's lightweight, the material breathes with your feet and releases heat to keep you cooler. Cushioning insoles keep your steps comfortable. Made with airy EVA foam and integrated heel pads, the inserts are designed to come right out of these Reebok safety toe shoes anytime. That makes them easy to clean for low-maintenance use. The outsoles are made in a dual-density, two-layer construction. EVA foam was used to create lightweight midsole wedges. Shock-resistant rubber on the bottoms helps you bounce back from stepping impact. The rubber is also EH rated for electrical hazard protection. These suede leather Reebok shoes absorb dangerous electricity, and you stay safer. Protective ASTM F2413-05 steel toes finish the design. They absorb compression, and protect your toes from pain. Reebok Men's Navy RB1975 Leelap EH Retro Jogger Oxford Steel Toe Shoes are ready for anything, whether it’s work or play. Hey fellas, want to make a lady happy? Show up with matching Reebok safety shoes and she may just think you're cute. Get the matching Women's RB195 steel toe shoes and see what she says! If you liked the C1975, you will love the RB1975. I got these shoes a week ago. The best steel toes ever. You forget that it's even steel toe. My other steel toes, soon i get off work, those shoes coming off, cause they hurt my feet. But these i'll wear all day long. So comfortable and light. I love'em. Very comfortable and fashionable! I love them! I was weary at first wondering how a cool looking shoe could be a steel toe but I was proven wrong. These shoes are the bomb and I would recommend them to anyone! They feel just like regular sneakers I forget they are work shoes! You don't feel the safety toe at all. I recently had an international work trip to a facility that required safety shoes at all times while on site. In the interest of packing light, I ordered these shoes about a week before the trip and wore them for about 2 days around the house to break them in. These were the only shoes I brought for a 5 day trip through 4 airports, on-site contract work, pedestrian site-seeing, pub-crawling and navigating the London underground system. These shoes were comfortable and stylish enough to wear everywhere and I was able to travel with only a carry-on sized suitcase! Everything went better than expected! Fits great, especially in wide. Flexible running/all purpose shoes that are wear and dirt resistant. Excellent grip on loose and up to medium slick surfaces. Purchased for their great value and rare but classic design. I'd recommend them because they will hold up well for you and stay comfortable. 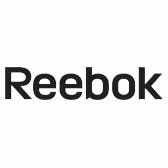 Reebok Shoes: Men's Navy RB1975 Leelap EH Steel Toe Retro Jogger Oxford Shoes is being added to your cart.